No weights required. Airmax ProAir self weighted tubing has been manufactured to our specifications making it more flexible, durable and safer. It is now guaranteed not to kink, highly puncture resistant and lead free. 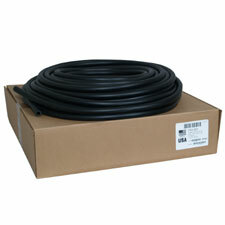 Similar to the weighted tubing we have offered in the past, this tubing remains on the bottom even when filled with air. No weights required. Airmax ProAir self weighted tubing has been manufactured to our specifications making it more flexible, durable and safer. 8/30/2009 – I plan to add this 100' of airline to the current 100' I currently have in use. What kind of connector will I need to join . . .